Troubleshooting can be a delicate operation. But with proper tools and training, any company can do it right. Technology will always fail from time to time. UC systems are no different. That's why troubleshooting -- the ability to quickly identify and mitigate problems -- is vital to a successful UC experience, and to better connecting and collaborating with coworkers, customers, and partners. But troubleshooting has long been a pain point for organizations that deploy UC systems. Why? Because most organizations today are not on a single UC platform. They rely on disparate platforms from any number of UC vendors. For example, the headsets you're using with your Microsoft Skype for Business system could be from Jabra or Plantronics. When an issue arises, this means added complexity and more difficulty when trying to pinpoint the exact cause of the problem. Another factor that makes troubleshooting difficult is a lack of the right tools and technology. Without them, troubleshooting can be a manual, time-consuming process. You might eventually find out the root cause of the problem by sifting through logs and command lines --but by that time the damage has probably already been done. This is why UC can be such a nightmare for so many users. They can't connect to that critical conference call. When they do connect, everyone sounds as if they're six feet underwater. They get halfway through the call and people mysteriously drop off. They try to share a document, but the app-sharing feature suddenly stops working. Finally the video breaks down and the screen goes blank. What happens next? Users get so frustrated that they start avoiding the UC application altogether. Then all the money your company invested in UC goes to waste, and it never realizes the promised productivity benefits. When issues arise, as they invariably do, your company needs the right tools and technology to figure out what's wrong immediately and fix the problem. 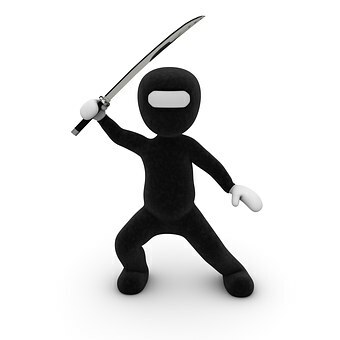 Follow these six tips and you can become a troubleshooting ninja. Use a tool that provides proactive alerting. The ability to receive alerts before issues arise is critical. You want to be notified as the problem is developing, not after. That way you can resolve the problem before any serious damage is done. Having the right tool is the key to being proactive. Such a tool will provide crystal-clear information about potential problem areas in your environment. You don't want a tool that just flashes a generic alert message with no context. That really doesn't tell you much. What you need is a tool that gives you a detailed message about what the problem is and points you in the right direction so you can solve it quickly. Get an end-to-end view of voice quality. A lot of UC vendors provide voice-quality information related to their own systems. And yes, that's important. But since most UC environments are multivendor, you also need an end-to-end view of voice quality across all providers in your UC environment. This will help you pinpoint exactly where the problem lies and get to the root of the issue more quickly. For example, if call quality starts to drop, this end-to-end view can reveal that the problem doesn't lie with the UC application but rather stems from a network issue you need to address. An end-to-end view gives you information across your entire environment, not just from a single vendor. Visualize the issue. Many UC vendors provide network-hop information in their voice-quality metrics. So having a tool that can visualize those call paths and display them in a graphical format is vital. This visual representation enables you to see bottlenecks and latency between hops and then drill down into each call and understand the root cause. Again, the problem might not be on the UC side but rather the network side. Being able to see that in a visual allows you to identify the issue and correct it quickly. Assess and test your entire environment. When you deploy a new UC system, you should make sure your existing network can support the application. Do load testing and stress testing to make sure the environment is capable of supporting the additional network traffic the UC system generates. And don't forget to keep testing every day -- that's a must. Networks are living, breathing entities, changing continually and growing over time. Build a knowledge base. Invest in a tool that empowers you to add an internal knowledge base that provides step-by-step instructions to your staff. This is critical because your tier-one staff won't always be available to troubleshoot. At night, for instance, you might have your second-string support team managing alerts and dashboards. You want these people to be able to resolve problems themselves, without having to ask for assistance from tier-one staff in the middle of the night. The knowledge base should clearly spell out what support members should do when issues arise. For instance, if a gateway goes down, the knowledge base can provide detailed instructions on how to resolve the problem. The added benefit of this knowledge base is that more highly skilled workers can focus only on the most-critical problems. Don't skimp on training. A good troubleshooting tool is no different from any other technology. You must train users on the tool if they're to get maximum value from it. You don't want to invest in such a tool and then not implement it correctly or not provide proper training. Make sure your tool is flexible enough to be tailored to your specific environment and can provide the kinds of dashboards and alerts you need to succeed. When UC systems work as intended, their value to an organization is tremendous. But when they don't, they can cause workers and management to start doubting their effectiveness and lead to a loss of money and productivity. Fortunately, the right troubleshooting tool can help you avoid disruptions and get the critical insights you need to succeed. Learn more about Systems Management & Network Design at Enterprise Connect 2018, March 12 to 15, in Orlando, Fla. Register now using the code NOJITTER to save an additional $200 off the Regular Rate or get a free Expo Plus pass.